View looking west across what is now Pond Park. From an early stereo-optic photograph, late-1800's. Courtesy of Bolton Historical Society. The old houses and buildings sit snug along the curving road: a 1741 Georgian, a 1750 Colonial, an 1810 Federal, an 1839 Greek Revival. In all, there are nearly 60 historically significant structures along the mile of Main Street between Sugar Road and Harvard Road. The streetscape is a remarkable procession of New England village architecture. But have you ever wondered, as you study these old places while hung up in traffic, about all the people who have inhabited them? Or tried, as an editor of Scribner’s Monthly once wrote, ” to imagine the life that had been lived there — the brides that had entered there, the children that had been born there, the feasts, the merry gatherings, the sicknesses, the vigils, the tears that had fallen, the prayers that had ascended.” Poke around and you’ll find that this street is full of stories and interesting people. In that house once lived the Rev. Thomas Treadwell Stone, 7th minister of the First Parish of Bolton and an influential thinker of his time. Emerson, Thoreau, Alcott, Hawthorne, and Whittier all counted him as a friend and colleague. The Reverend’s son, the architect Alfred Stone, designed the 1903 library up the street, as well as Pond Park. Alfred was the “Stone” of the Providence, RI firm of Stone, Carpenter and Willson, best known for designing the Providence Public Library, Union Station in Providence, and buildings on the Brown University campus. Over there lived Florence Sawyer, mentor to generations of Bolton youth, charter member of the Historical Society, namesake to our newest public school. A few doors up the street is the home of old Joseph Sawyer, a patriot who responded to the “Lexington Alarm” on April 19, 1775 and later fought at Bunker Hill. One of his daughters, Ruth, married Robert Peckham, an important American artist. An 1817 Peckham painting, depicting three generations of the family relaxing in Joseph Sawyer’s front room, is at the Museum of Fine Arts in Boston. Next door was born one of Joseph’s grandchildren, Frederick Augustus Sawyer, in 1822. [Frederick’s mother to-be, Abigail, appears in the painting referenced above, standing with a red shawl.] Little Frederick attended the Center School at the corner of Wattaquadock Hill Road and Manor Road, and then the Fry School on Berlin Road, before going to Harvard. He would become a United States Senator (South Carolina) and, as such, would play an important role in the era of Reconstruction after the Civil War. Frederick would also find himself inside Ford’s Theatre on the night of Abraham Lincoln’s assassination, and his first-person account of that evening is cited by historians for its immediacy and acuity. 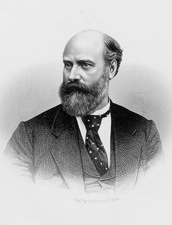 One of Frederick’s own children, Myra (who married Charles Hamlin, grandson of Hannibal Hamlin, Abraham Lincoln’s first-term Vice President), published an aptly titled novel in 1886, A Politician’s Daughter, in which the protagonist describes her father, a Senator, as a “great man” who “came close to the White House.” A native son in the White House? Ah, what might have been. There is so much more. The village center has been home to, among others: generals, colonels, and captains; legislators and congressmen; painters, poets, and photographers; doctors, dentists, and lawyers; pastors and priests; transcendentalists and objectivists; revolutionaries and war heroes; librarians, postmasters, and telephone operators; goldsmiths and blacksmiths; comb-makers, home-makers, watch-makers, and shoe-makers; tanners, tailors, and hatters; woodworkers and coopers; wheelwrights and housewrights; foresters and farmers; storekeeps and innkeeps; benefactors and malefactors; public servants and public charges. Oh, and there was Tommy Maloney, the midget who was fired from Barnum and Bailey’s Circus. He opened a paint shop on the edge of what is now Pond Park and was reputed to have been a talented decorator of carriages and circus wagons. When he was sober. And so the old houses and buildings in the center gracefully endure even as the decades and generations pass on and pass through. The stories pile up. In fact, two-thirds of the buildings that appear on the 1831 Holman map of Bolton still stand. And they’re in pretty good shape, with just a couple of exceptions. Someone once said that going to the Bolton Fair back when it was held here in the center “was like going to Old Sturbridge Village, except that Bolton is real.” The National Park Service affirmed the center’s importance in 1997 when the Bolton Center Historic District, comprised of 73 acres and 92 contributing resources, was added to the National Register of Historic Places. It is, indeed, real—real as in the real deal, a true piece of small town American history. Bolton has—so far—done well at protecting some of its best rural and historical attributes. It is likely that we will be asked to make decisions in the coming months that will affect and possibly define the future of the town center—decisions relating to zoning changes and allowable uses, about design guidelines, and about increasing historic protection measures, to name a few. In my view, we must think and act like stewards. We must ensure that the Bolton of tomorrow will be as worthy of protecting as is the Bolton of today. 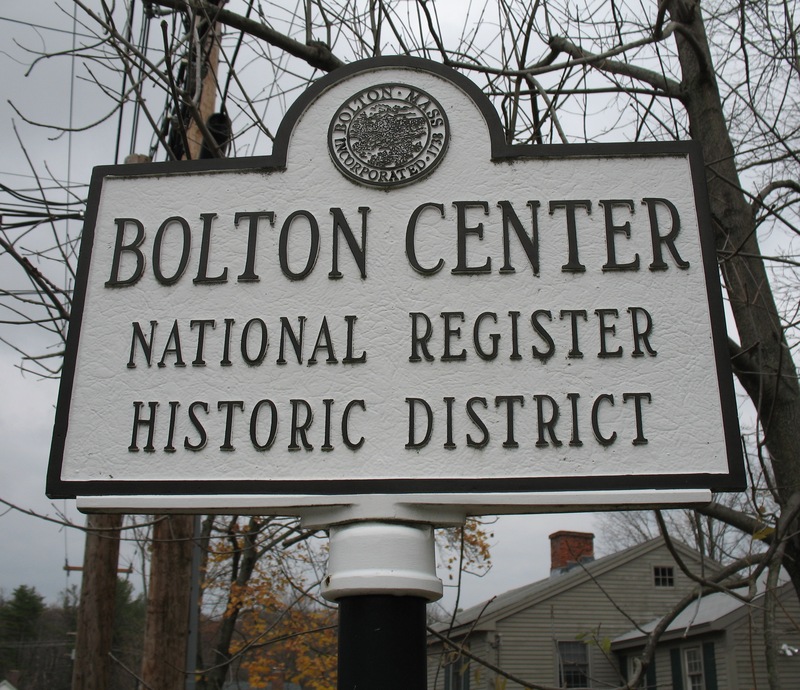 This entry was posted in Bolton Center National Register Historic District, General, Historic Preservation, Village History and tagged Bolton, Bolton Center, Bolton Public Library, Everett Collection, historic district, historic preservation, Main Street, village history. Bookmark the permalink. great picture of the pond. I love these old photos, keep them coming. The Smith property’s newest developer is coming in to visit Planning Board on Wednesday 12/8 at 9 pm. That is all the information I have at this time. I want everyone to come in to hear what is said, but brevity should be the order of the night, as I want to go to bed at a reasonable hour. Thanks for this heads-up, John. I hope a revised Planning Board agenda is issued as a result (this is not on the agenda distributed this morning).